Many everyday items taken for granted today had to be ‘invented’ or ‘discovered’ and many are known by the names of the people who first set the trend. When it comes to wearing apparel it is rather surprising how many of the garments we wear were ‘ invented’ by men – and military men at that! Lord Cardigan (pictured top left) started a fashion during The Crimean War that still exists today. At the Battle of Balaclava in 1854 he wore a knitted, woollen over-waistcoat to keep out the bitter cold of the Crimean winter. The Balaclava helmet (popular with modern bank robbers!) was also worn for the first time in this battle. The Crimean War seems to have been in the forefront of fashion innovations, as Lord Raglan, the British Commander, had an overcoat made without shoulder seams and this Raglan style is still worn today. Everyone today owns a pair of Wellington boots, affectionately known as ‘Wellies’ – indispensable during our long wet British winters! The Iron Duke, Arthur Wellesley, the Duke of Wellington (1769-1852) wore these at the Battle of Waterloo and they have been popular ever since. A man called William Coke, a Norfolk landowner, became irritated when his tall riding hat was repeatedly knocked off his head by overhanging branches. A famous hatter of the period, a Mr. Beaulieu, was approached in the 1800’s to make him a more suitable hat. Mr Beaulieu designed a hard, lower-crowned hat for him and it became known as a Bowler! The Bowler Hat is known in the USA as the Derby Hat. Coming more up-to-date with fashion, the light-weight wool jacket, worn instead of a tail-coat, called a Tuxedo, was introduced to the USA from Europe by Griswold Lorillard who wore one at a ball held at the Tuxedo Club, Tuxedo Park in Tuxedo County, New York State in 1886. Grog is rum diluted with water and it was named after the British Admiral Edward Vernon (1684 – 1757). It was introduced in 1740 in an attempt to prevent scurvy. Vernon’s nickname was Old Grog because he always wore a cloak made of grogram, a coarse mixture of silk and wool, hence the nickname ‘Grog’. Sailors still call Public Houses ‘Grog shops’! A sandwich has always been a very popular snack, but the first to eat one was the Earl of Sandwich (1718 – 1792). He was a dedicated gambler and refused to leave the gaming tables to eat. He once played for 24 hours non-stop! During one of these marathon gambling sessions he ordered a waiter to bring him a piece of ham between two pieces of bread, and so invented the Sandwich. Dame Nellie Melba, the Australian operatic soprano gave her name to two dishes: Melba Toast, which is very thin, narrow slices of toast, and Peach Melba. Peach Melba is peaches with vanilla ice-cream covered in raspberry sauce. This delicious dessert was created for Dame Nellie in 1892 by the famous chef-de-cuisine of the Savoy Hotel in London. His name was Auguste Escoffier. More food – a sweet tea-cake, called a Sally Lunn was first baked by a pastry cook called Sally Lunn in Bath in 1800, and is still very popular at English tea parties. 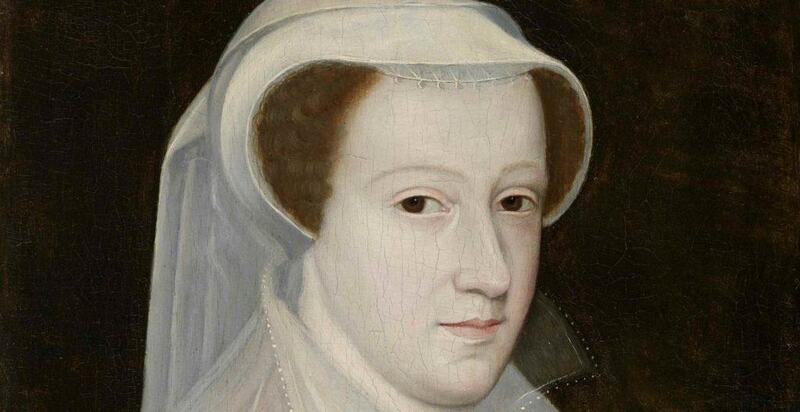 There is a story that the fruit jam we call Marmalade, so popular at the English breakfast table, was originally made for Mary Queen of Scots (1542 – 1587) to help her when she was suffering from sea-sickness. The name then was Marie Malade (sick Mary)! Arthur Wellesley, the Duke of Wellington, perhaps Britain’s greatest military hero was in his mother’s eyes, a disaster! She declared, ” I vow to God I don’t know what I shall do with my awkward son Arthur”. How wrong can a mother be!